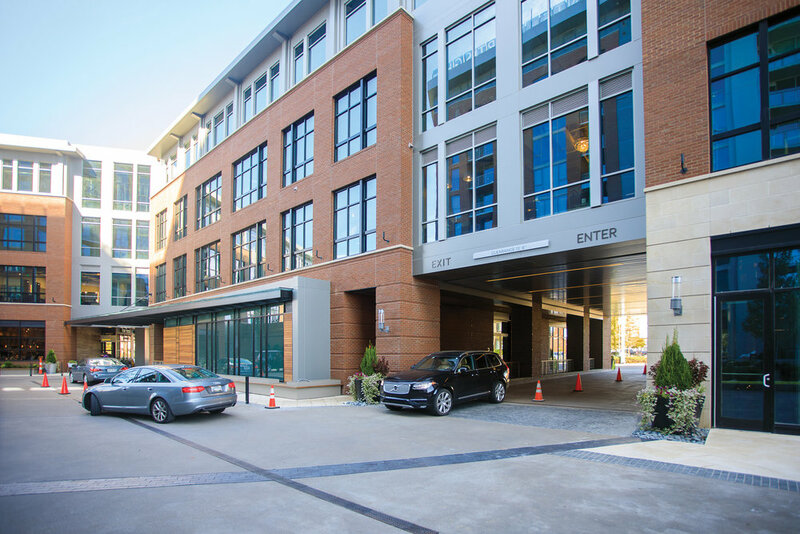 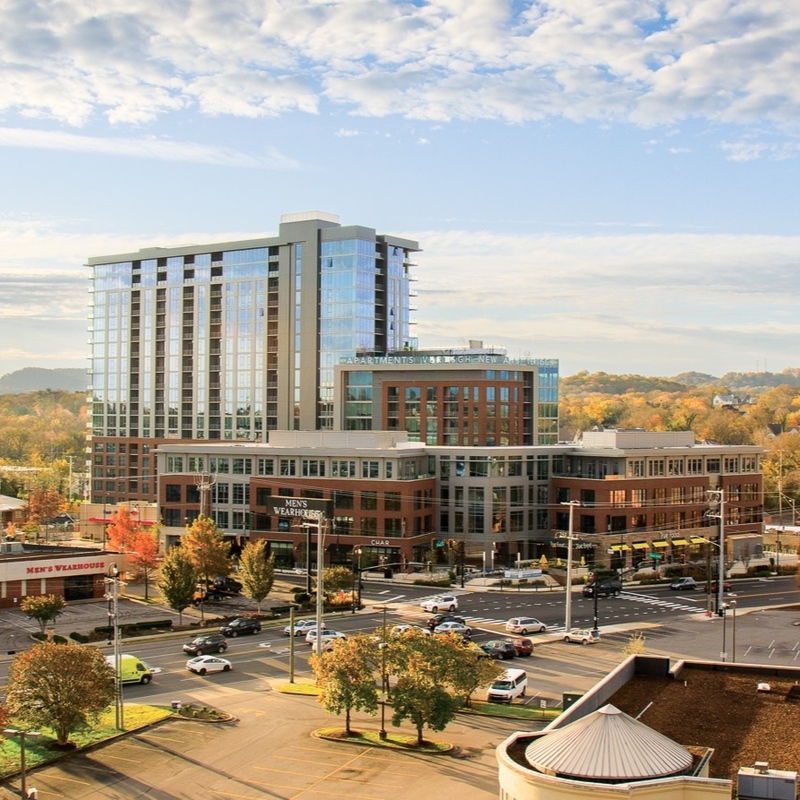 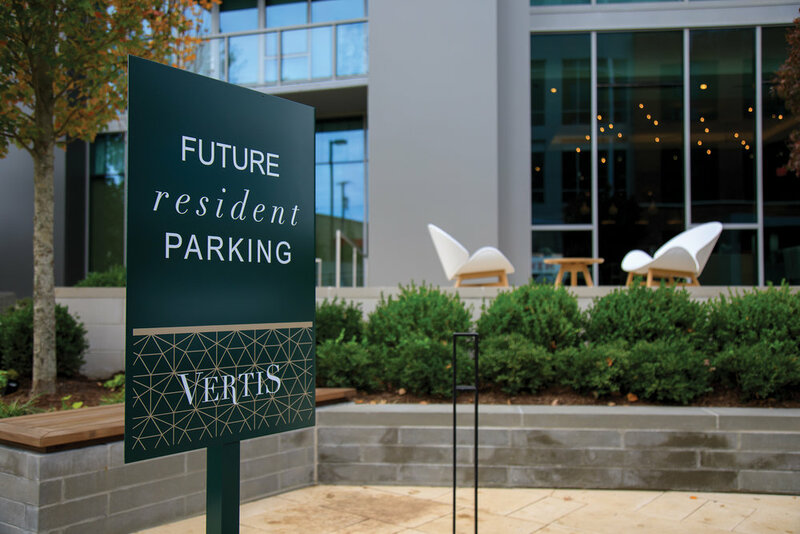 Vertis Green Hills is a mixed-use community developed by Southern Land Company located in a prime location at Richard Jones Road and Hillsboro Pike in Green Hills, one of Nashville’s most desirable neighborhoods. 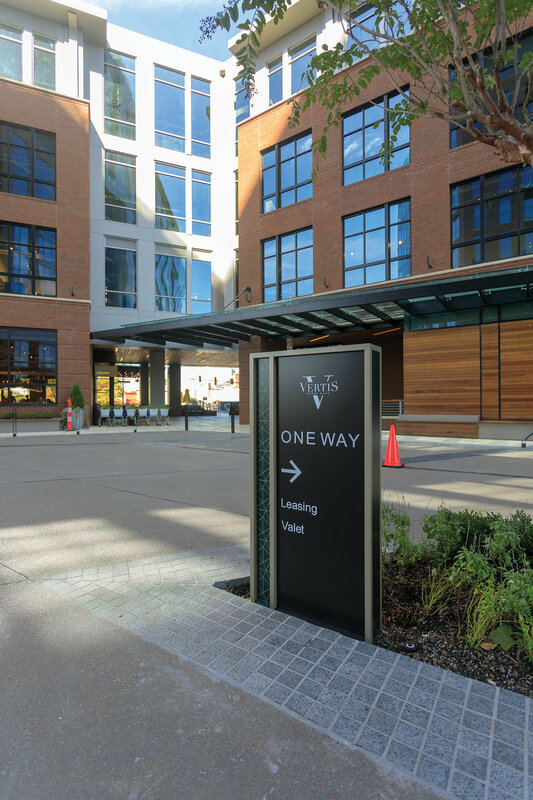 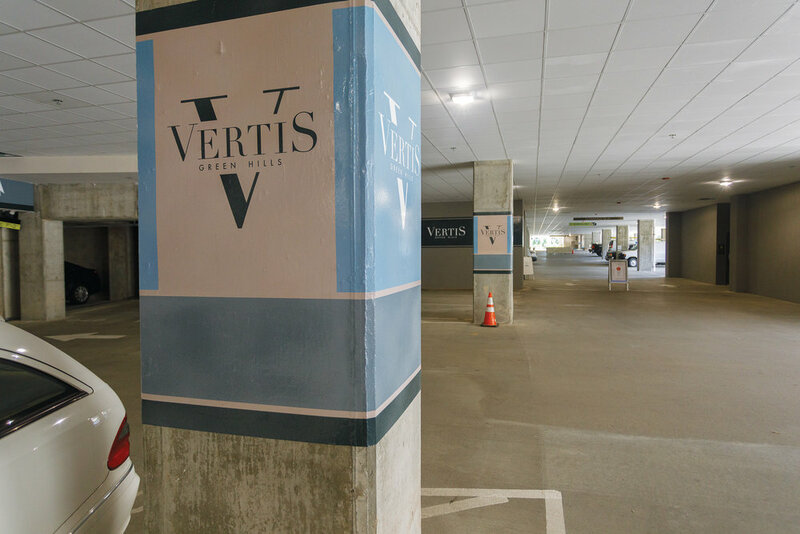 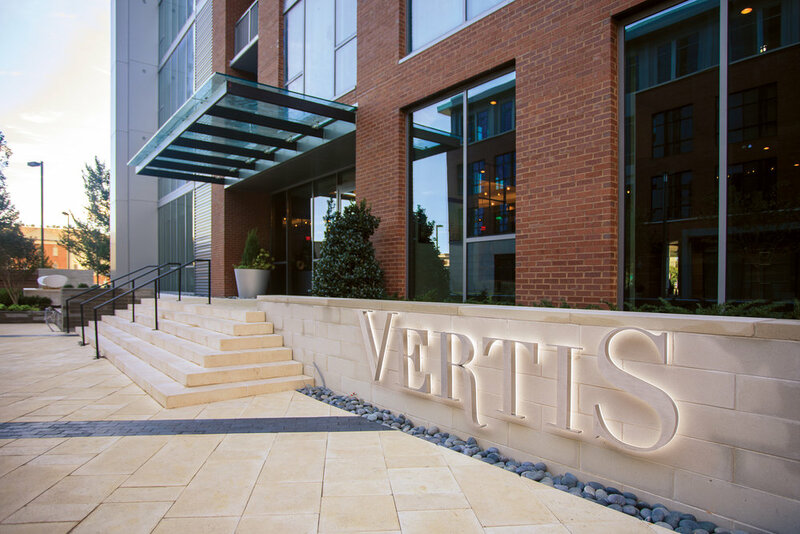 Vertis is home to an 85,500-square-foot commercial space including office, restaurant and retail uses, as well as an 18-story, 310-unit residential tower. 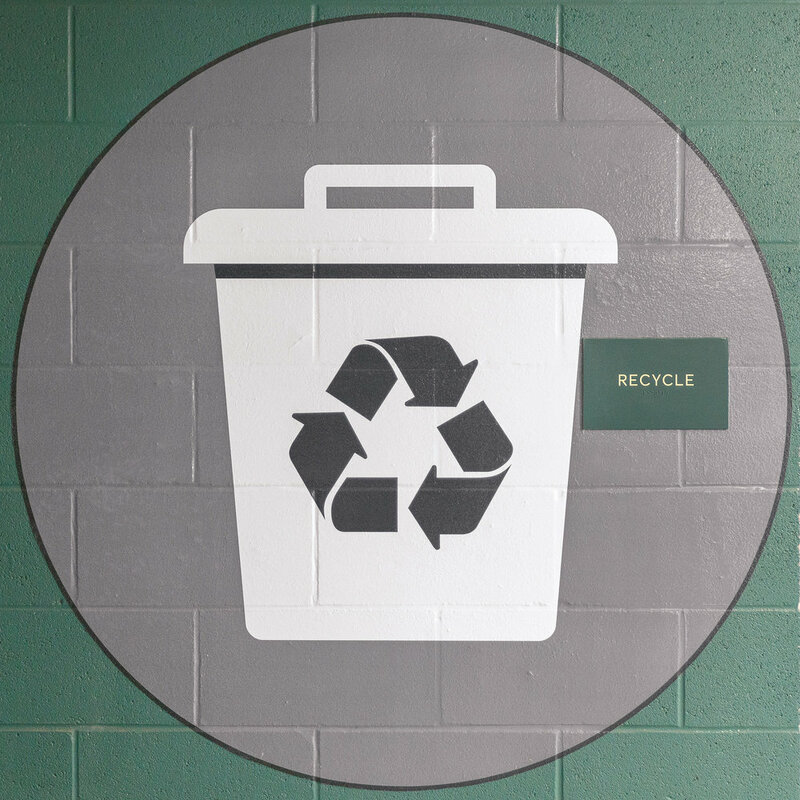 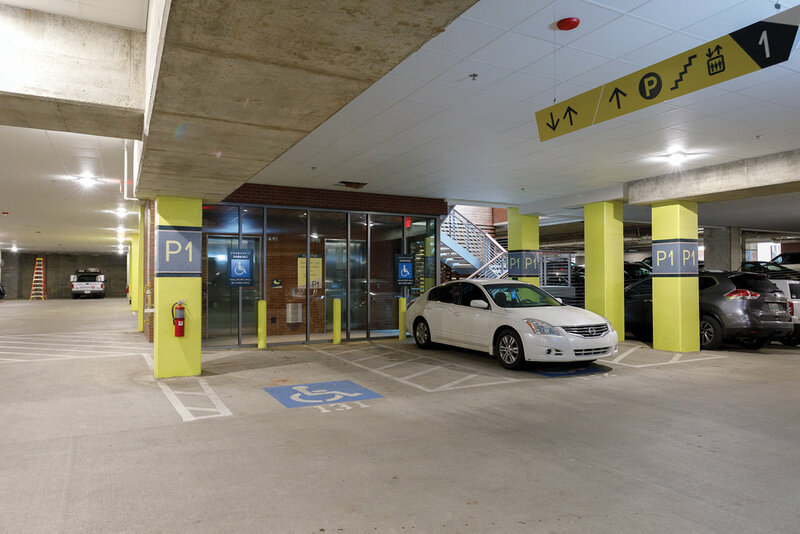 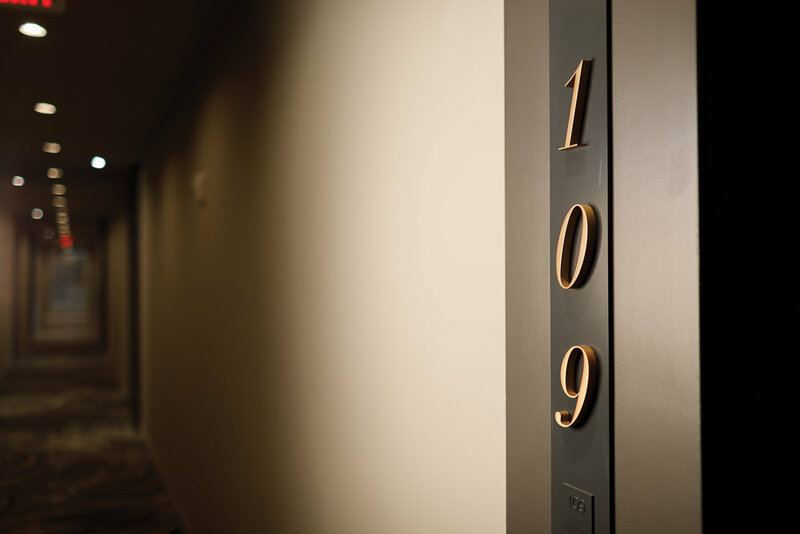 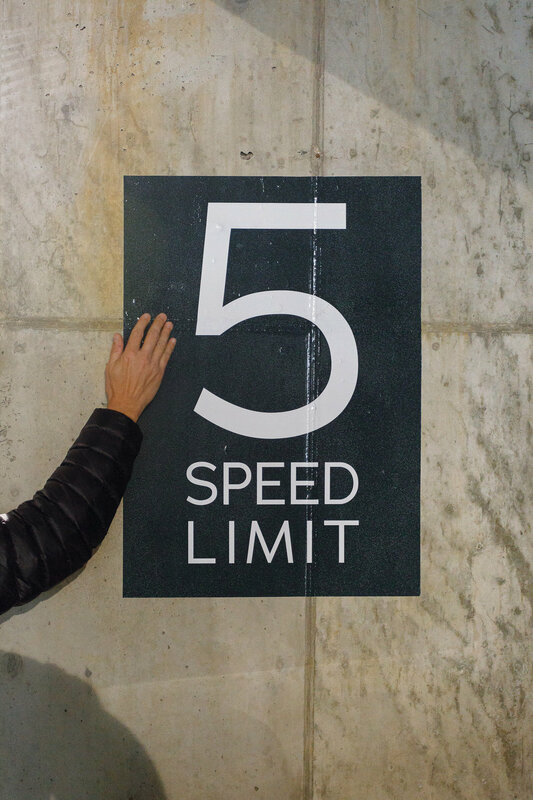 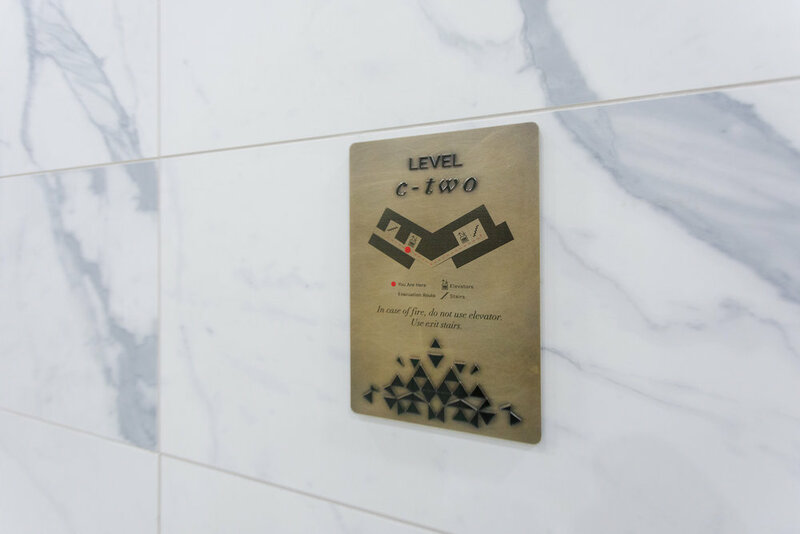 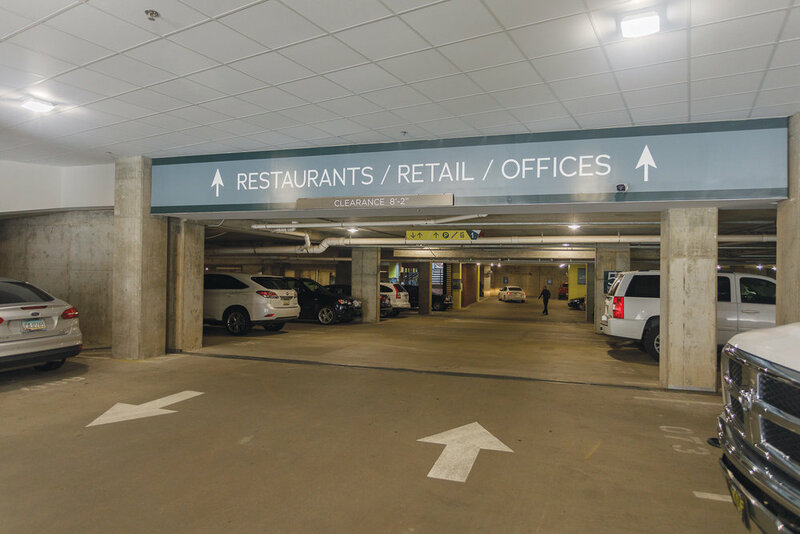 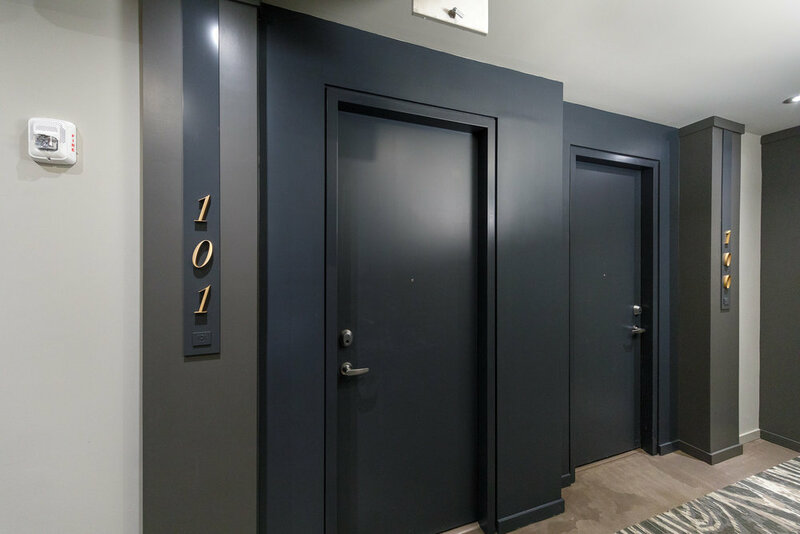 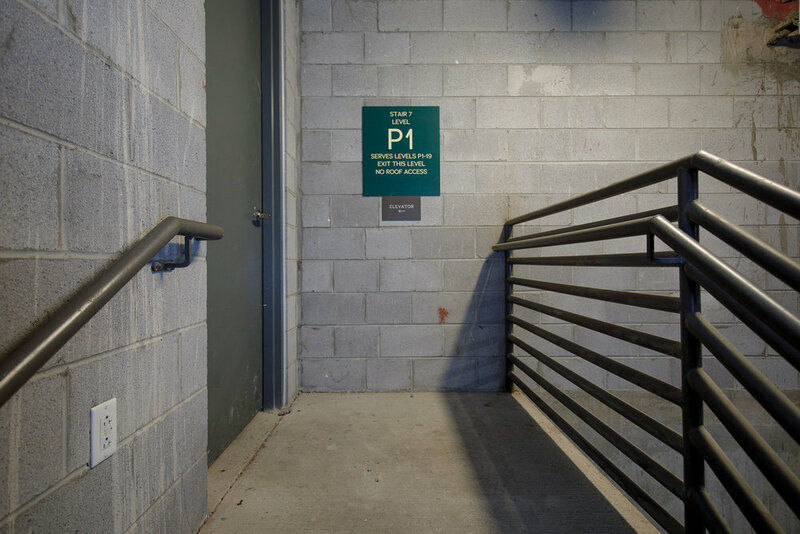 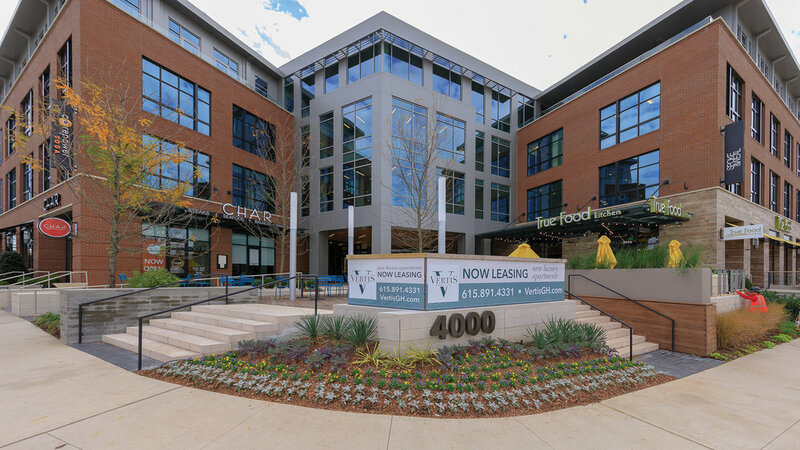 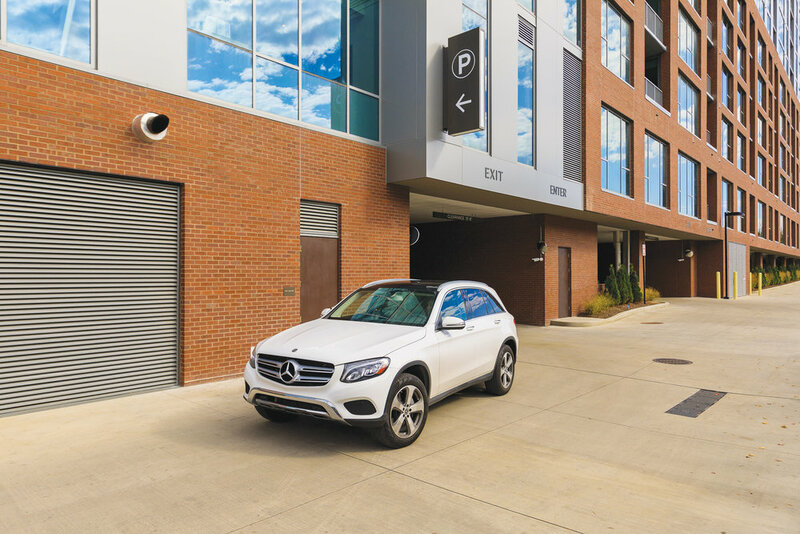 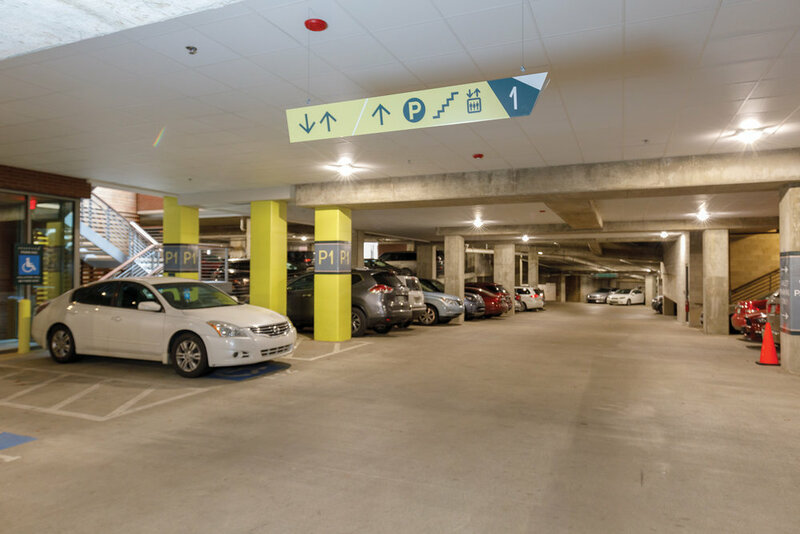 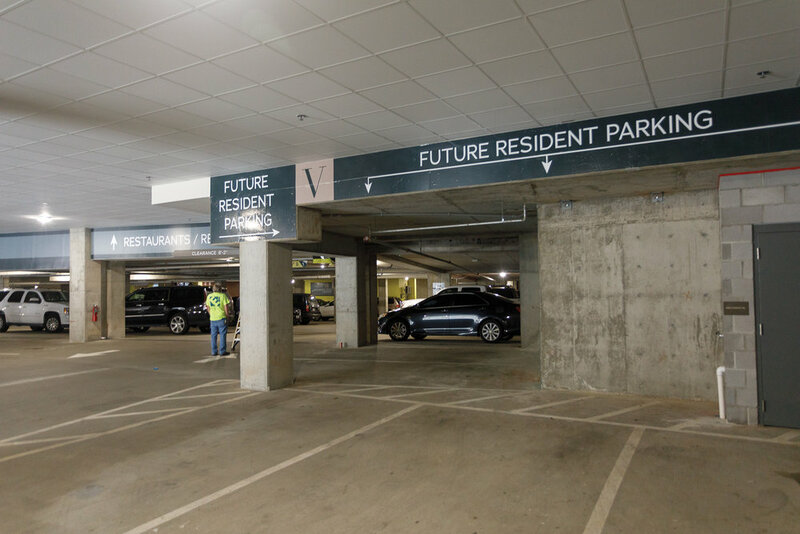 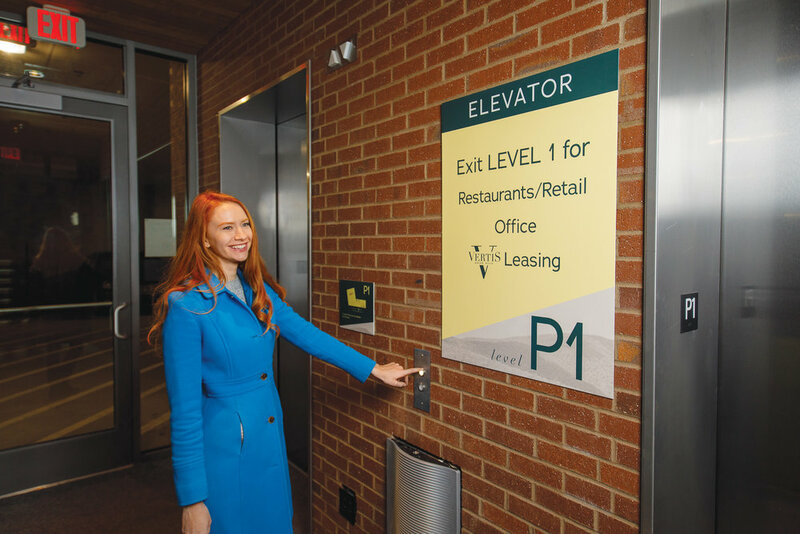 The environmental branding and wayfinding scope included exterior site, interior commercial and residential, as well parking garage signage programs. 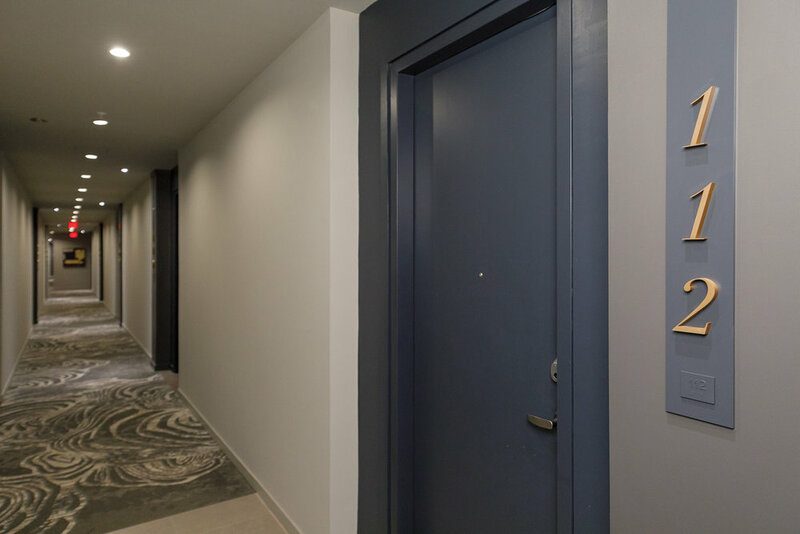 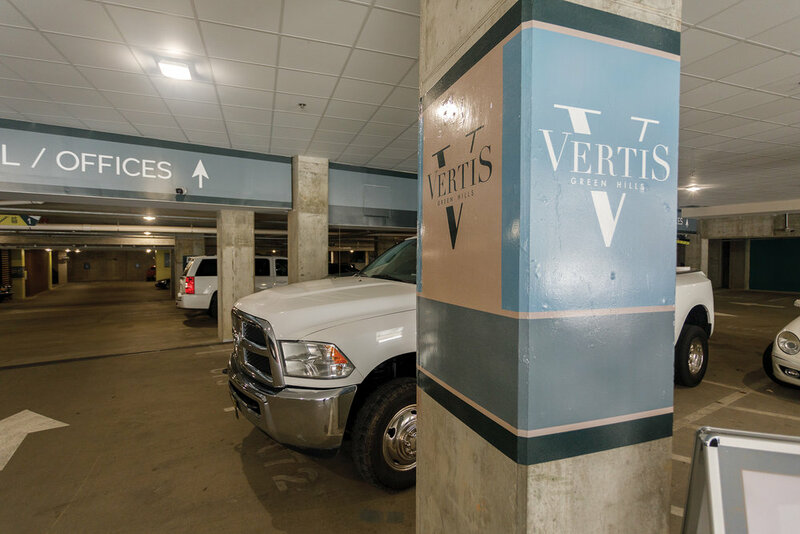 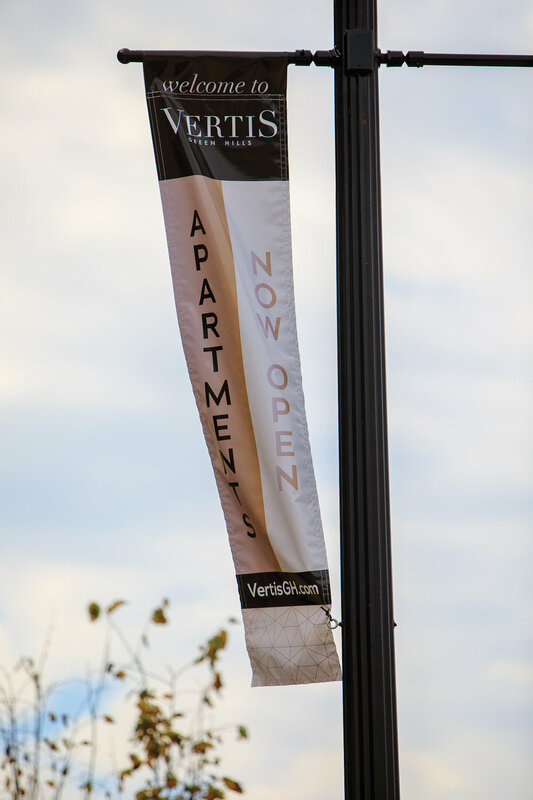 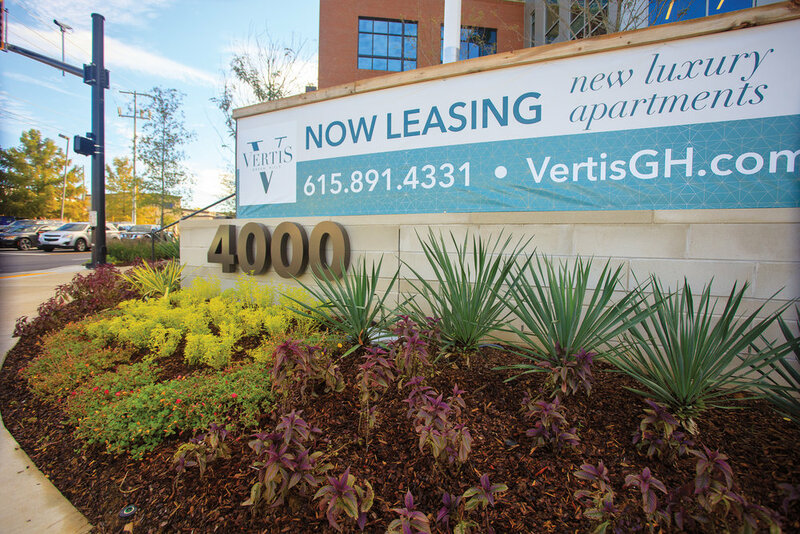 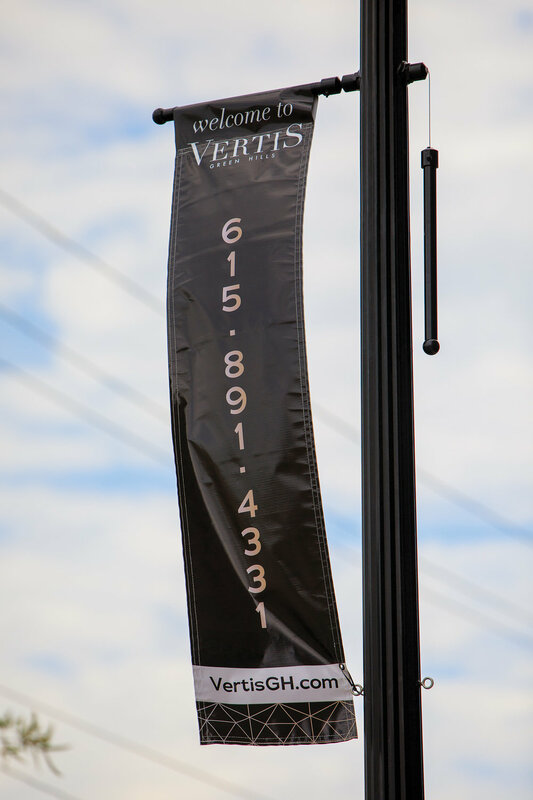 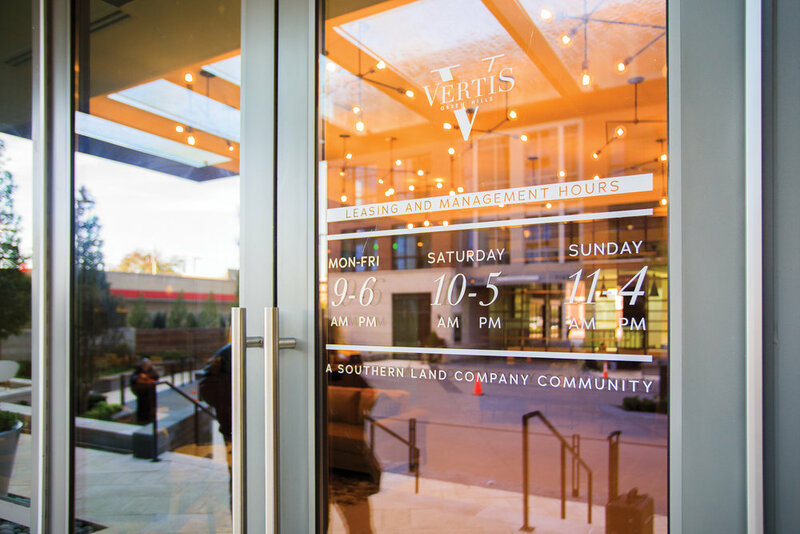 All of the graphics and signage needed to fulfill the Vertis brand look and feel and move people through the community successfully. 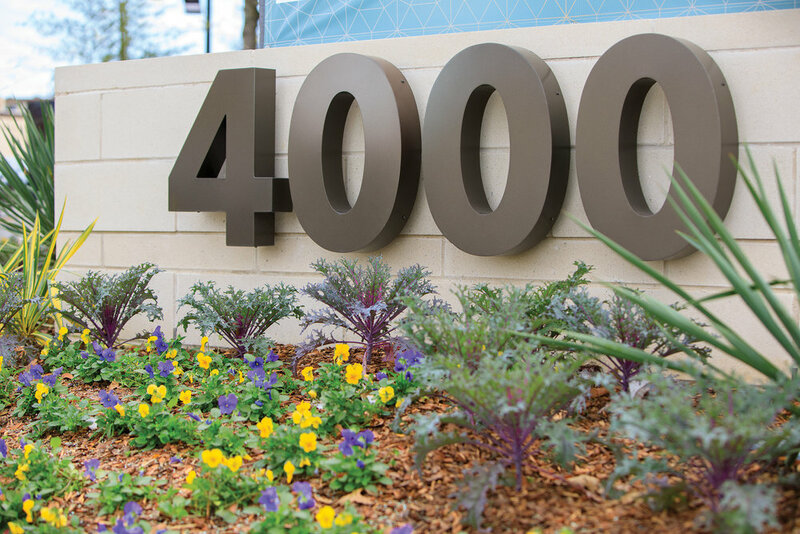 Southern Land Company chose Showdog to manage execution of the environmental graphic design and programming, fabrication and installation for the entire project to be completed in multiple phases. 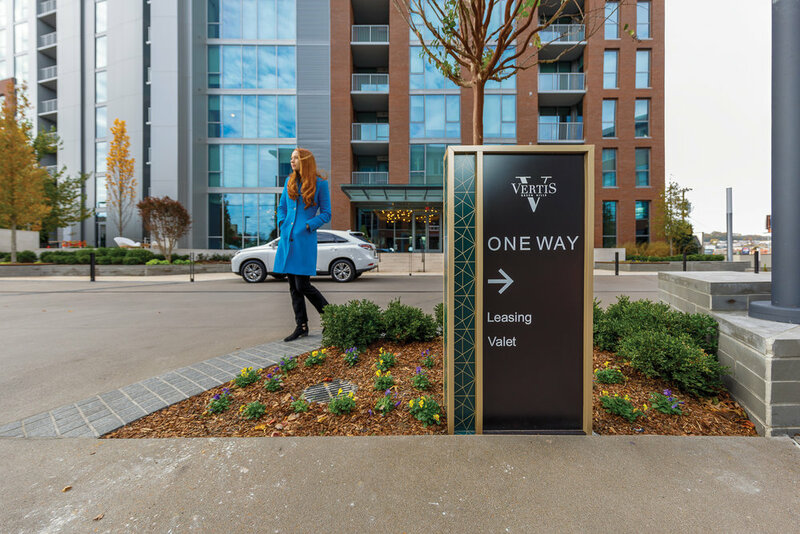 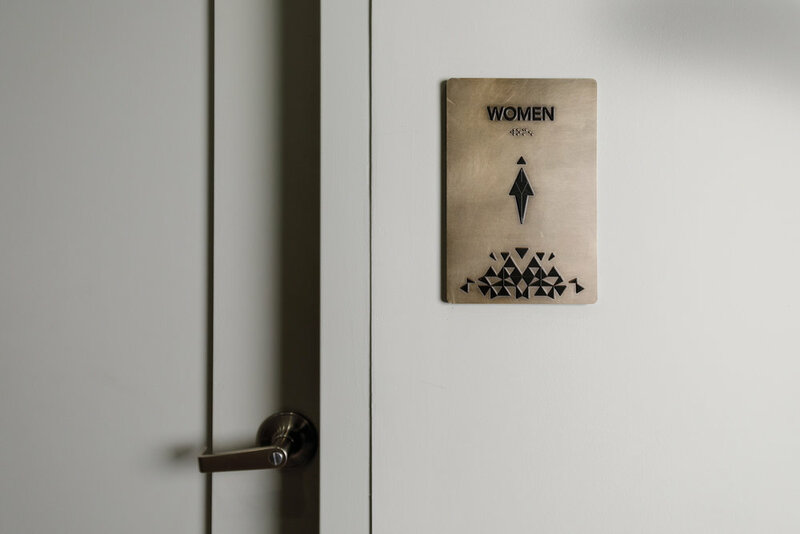 Included in the community are illuminated stainless steel building identity signage, vehicular / pedestrian directional and informational signage, grand format wayfinding & branding graphics, commercial and residential interior signage and graphics, commercial client identity signage.